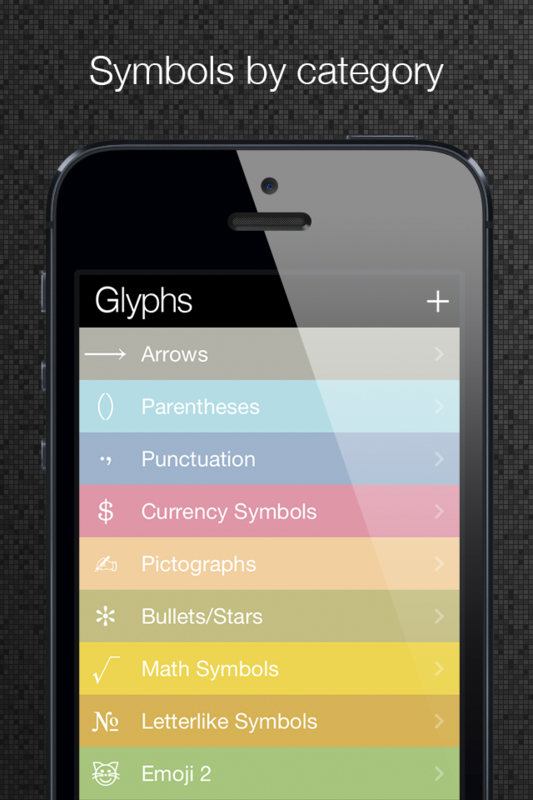 Glyphs+ is a text editor for iPad, iPhone and iPod to manage your documents. It is also the only one who has the full library of special characters, sorted into categories, you can use directly in your text. What I can do with special characters? Absolutely everything. If you have missed certain symbols on your keyboard when typing, Glyphs is for you. You from creating simple text documents for leisure or work to create, for example, documents with mathematical symbols or characters of any Asian writing to take notes in class or simply create a message with pictograms fun to share with your friends. With a sleek, simple and without distractions, this editor has been designed especially to display in plain text on your iPhone and on your iPad, making the experience of writing is more beautiful than ever. 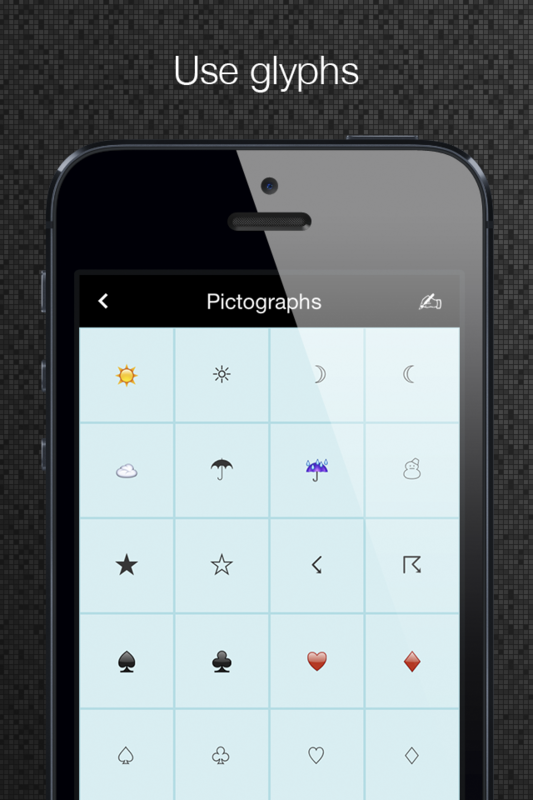 · Creating easy way favourites lists special characters, so you will always have on hand that you like and use the most. · Real-time Full sync with iCloud. Your updated documents on all your devices automatically and when you also automatically syncs special characters favourites list or you've used recently. You can also manage your documents from iTunes so you never miss anything. · Direct publishing to Facebook and Twitter, because your text is to read and to share. You can also send them by mail or print via Wi-Fi compatible devices AirPrint. 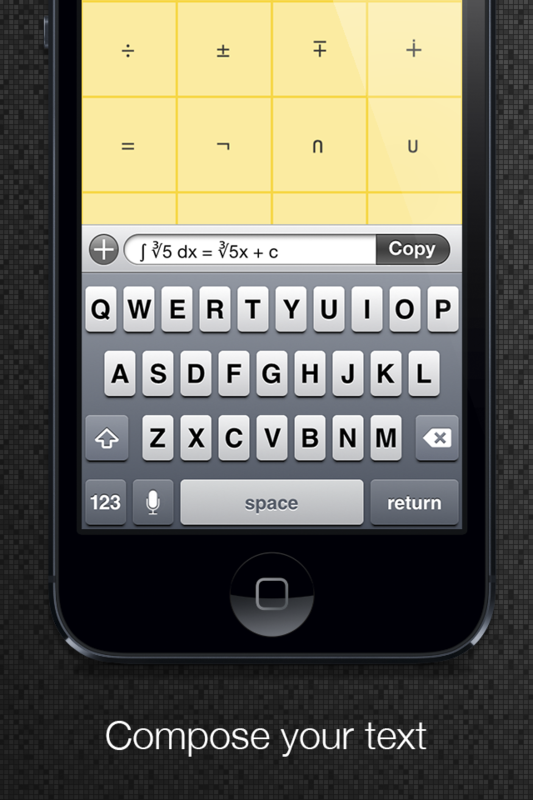 You also have the option to share directly from iCloud, so everyone will see what you write. · For those who love writing, writing tool integration as with Markdown preview or quick writing with TextExpander. · Adjustment VoiceOver for universal access. Anyone can write and share with Glyphs. 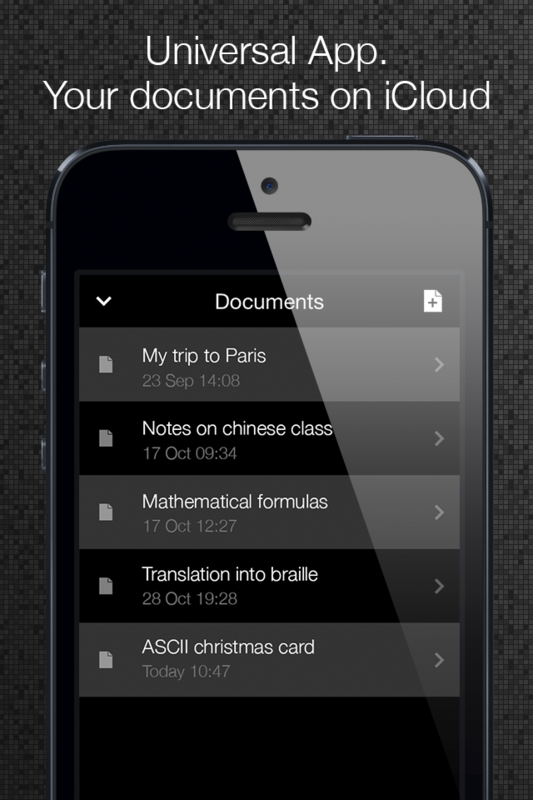 · Import and export of documents with other apps. 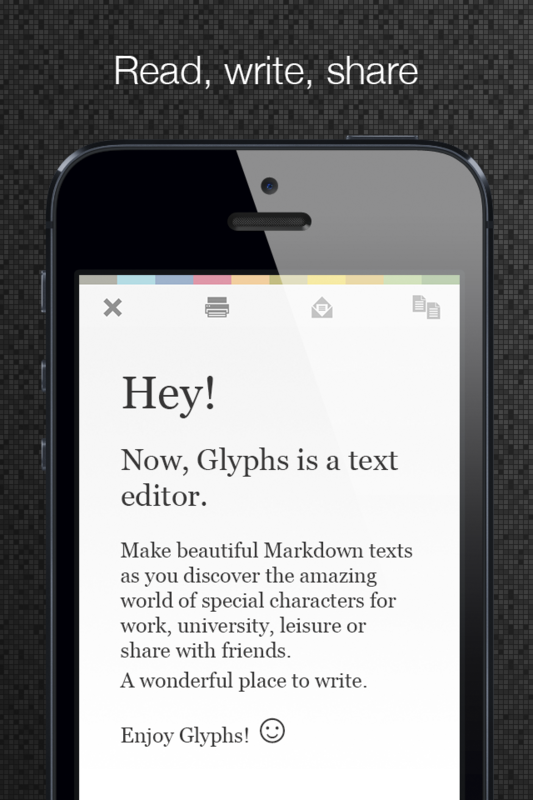 @getglyphs and send us your texts! A nice place to write. Thanks for making this possible! Important note: Due to the policy of App Store, this application does not integrate any type of keyboard in the operating system. This update focuses on improving your texts for the new iPad mini. We have also included improvements to the preview with Markdown.